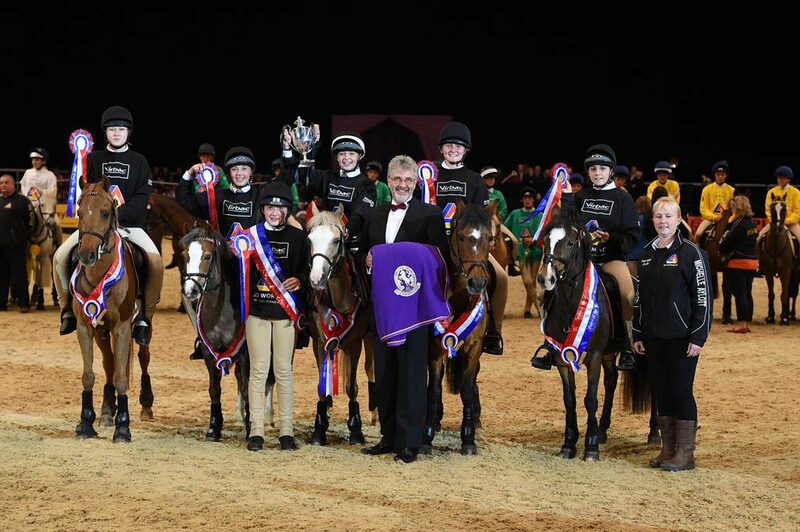 The East Kent Hunt Branch of The Pony Club have won the Virbac 3D Worming Cup and the Prince Philip Cup after five nail-biting days of competition at the Horse of the Year Show (HOYS). 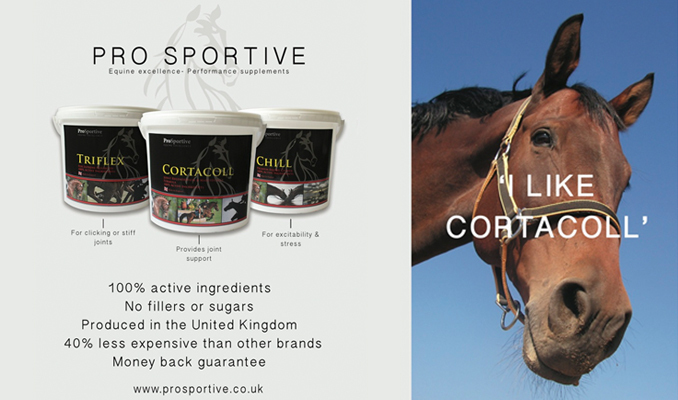 They also won the Stable Cup earlier in the week, so completed an historic triple. Members of East Kent Hunt Pony Club, winners of the Prince Philip Cup during the Sunday night of HOYS in the NEC in Warwickshire in the UK on 8th October 2016. Photo Coutesy of Kit Houghton. The team, consisting of Brooke King (15), twins Megan and Ellie Tutt (15), Imogen Lyons (15), Charlotte Giles (15) and Abbie Bean (14) finished on 108.5 points to clinch the victory, just 3.5 points ahead of runners up Oakley Hunt West. 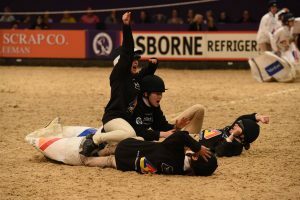 Four other teams, including defending champions Monmouthshire, Romney Marsh, Wylye Valley and Eglinton Hunt also qualified to compete at HOYS after battling it out at the Area and Zone competitions. The final on Sunday evening at HOYS captivated the crowds, with the teams giving it their all to thrill spectators with some very close finishes. Classic games such as the Virbac Stack tested the Members’ control and athleticism, but the loudest cheers were for the novelty games which included the ‘Bending Race’ and the ‘Big Sack’ race which provided moments where the audience held their breath and gasped in anticipation. Shelley Aylott, trainer for the East Kent Hunt team was delighted with the win, and commented how the team had done themselves, their parents and their Pony Club proud. Shelley said: “The team trained so hard for this; I couldn’t be happier! They put an incredible amount of time and effort into training and it’s really paid off.” Shelley was also proud of their efforts to raise funds to buy new kit especially for the event, by holding cake and sweet sales, a dog show and a quiz night.